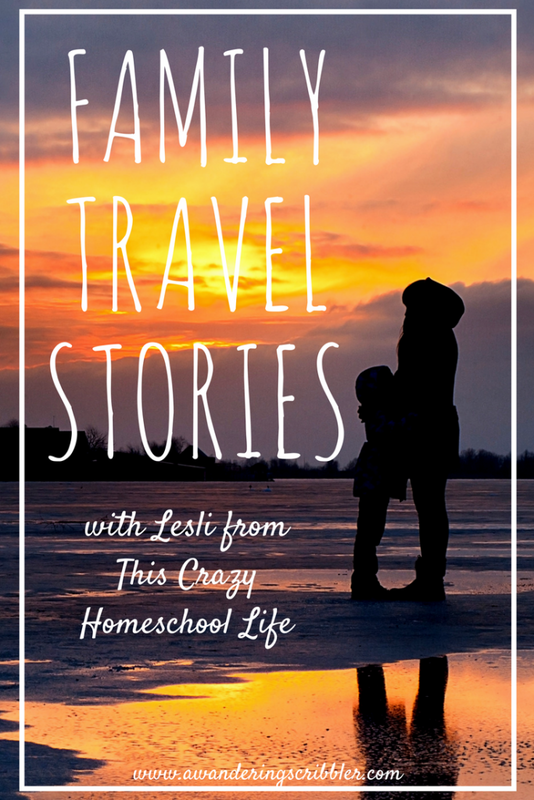 Family Travel Stories: Lesli from This Crazy Homeschool Life - A Wandering Scribbler & Co.
You see traveling families online. They live in a van, sleep on the beach, and cook over an open fire. 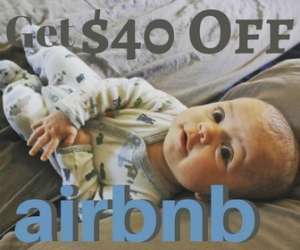 They travel full-time, moving from gorgeous hotel to luxurious rental home and visiting amazing locations. Or maybe they have a mortgage, children in school, and a 9 to 5. But guess what? They all make travel a priority in their life. 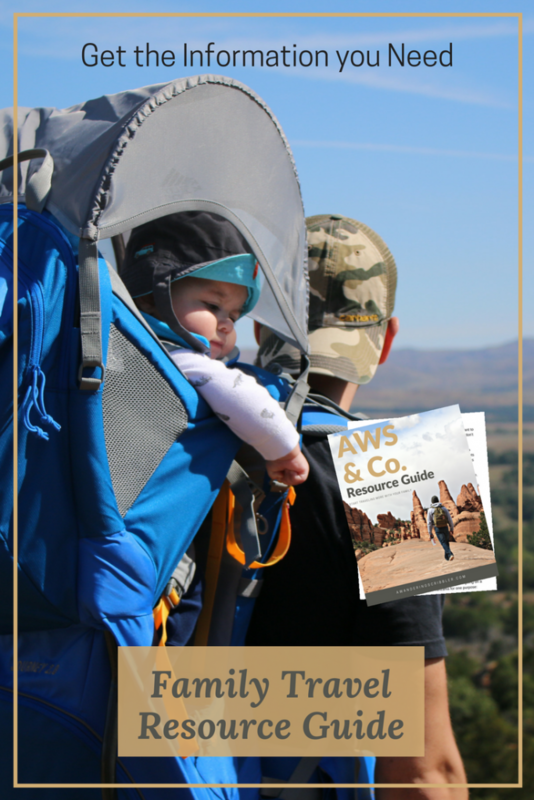 I wanted to look at traveling families–all traveling families–and see how they travel, look at what they do to make that possible, and what advice they can pass along. 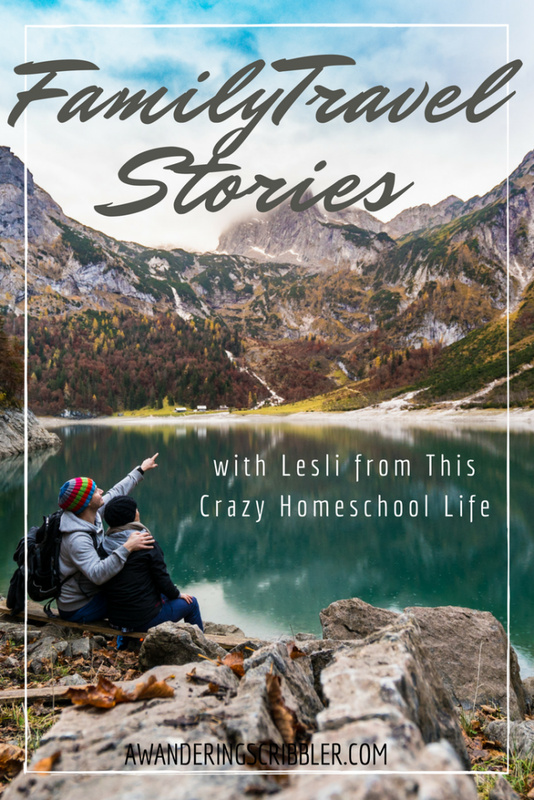 Today I spoke to Lesli from Crazy Home School Life. 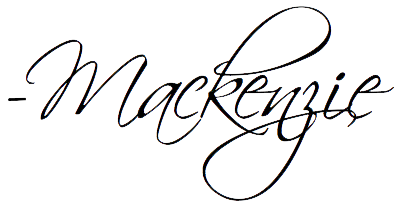 She is a mom of three and runs her blog to encourage and celebrate families on their homeschooling journey. 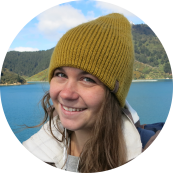 She is also a lover of travel and the perfect person to start off our Family Travel Stories series. From the minute I stood at the edge of Niagara Falls watching the water rush over the precipice as a thirteen-year-old, I’ve loved to travel. Experiencing the world outside of my little suburban box thrills me in a way nothing else can. I took every opportunity as a teen to travel. My husband and I went to six different countries in the two years before our first baby came along. Four months after she was born we had her on an airplane to visit family four states away. We are now a family of five living outside of Atlanta. We still love to travel as much as possible. The idea of selling everything and traveling the world sounds appealing to me….for about five minutes. Then, I start thinking about the rich friendships my children are growing in this home base we have, about the church we are a part of and love, and the joys of getting to know our neighbors and community. Traveling and enjoying the great big world is still a focus for our family, but not the whole focus. My children already track the states they have been to and all want to add more countries to their lists. However, we also love to have roots and be a part of a thriving community. 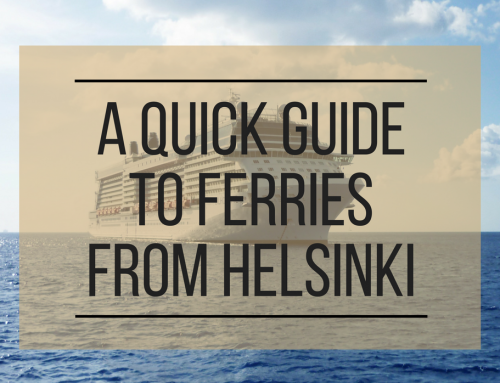 Combining a love of travel and an established home base has been tricky at times for our family. For the first ten years of parenting, we stuck to road trips and local adventures. We would drive the 16 hours from North Carolina to Missouri at least once a year to see family, usually staying 3 to 4 weeks at my in-law’s house. 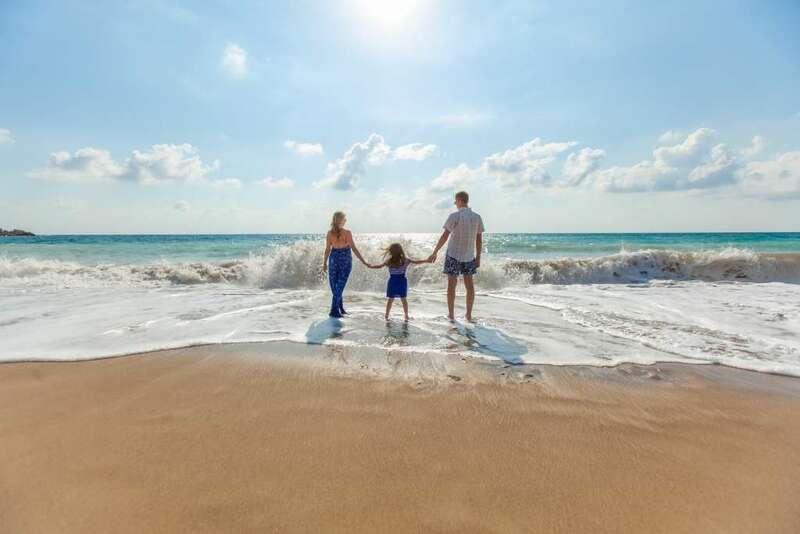 We would also visit the beach in Florida each year and made sure to take opportunities for little trips around the nearby states as much as we could. These were the intense parenting years with little kids, and they were challenging as travel loving family. They were incredibly wonderful years as well. We loved spending time together on the beach or hiking in the NC Mountains. 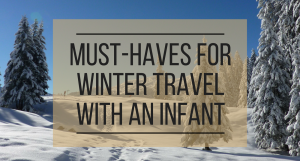 From the time my oldest was fourteen months old, we’ve done at least one road trip a year, and they all learned to enjoy traveling together. Soon, we became experts at packing the minivan and fitting in all three kids, along with my Mother-in-Law, and heading down the road. We realized about the time my oldest was seven that we’d really done it! We had been able to set our life up with the richness of a local community with deep roots, and with the freedom to get out and go. Homeschooling our kids, mainly for the academic benefits, also gave us freedom from a schedule. This gave us every opportunity to find new experiences, or to extend an experience into an adventure. With this realization, we began to intentionally set our lives up to be more travel friendly as our children moved into the elementary and teen years. We chose to be open to any advancement for my husband’s career, even if it meant moving. As homeschoolers, we would be able to move for a career opportunity, without worrying about school continuity. 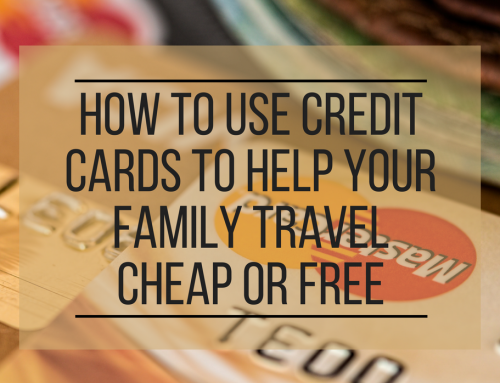 We also worked to learn about miles and points programs to mitigate the costs of travel as a family, and we simplified our schedule to give us more freedom while still being a part of our community. In 2015, my husband was offered a job that would have him traveling for work. This would offer us the ability to use his miles and points to enrich our lives with longer distance adventures and travel opportunities. This would seriously help us work towards our goal of adding more travel to our lives. We couldn’t say, “No.” to the offer so we accepted and relocated from Charlotte to the Atlanta area. The decision has been one of the best we’ve ever made. We have grown a new community here in Atlanta and have been able to continue to enjoy time with our friends and family in North Carolina. We’ve also been able to explore a whole new area and have new adventures in our very own town. Our kids are growing up with the concept of adventure being a part of their everyday life. 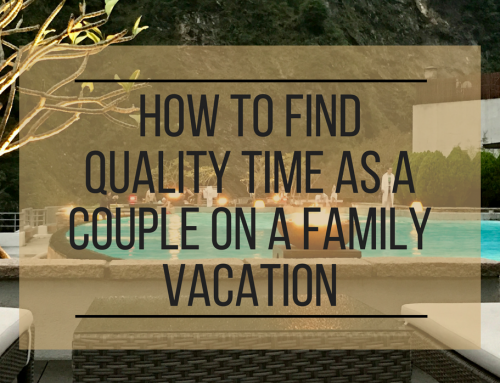 They constantly discuss where they would like to visit and what trips they will take with their children. 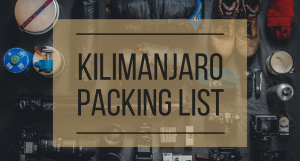 We have learned that if we are careful about our planning, we are able to have one to two bigger trips a year and three to four smaller getaways per year. Having the responsibility of owning our home simply means we must be intentional about travel. Travel costs are a part of our budget. We use miles and points as much as possible, and we stay with friends and family on shorter trips when we can. Home ownership doesn’t mean we have to stay home all the time. It means we weigh and balance our adventures with our daily life. Last year, we were able to take our biggest adventure yet. My Mother-in-Law lives with us, and her life-long dream has been to see a glacier. We made the decision that it was time to go, before she was unable to travel due to arthritis. In June 2017, we lifted off from Hartsfield Jackson Airport on a two-week adventure through Alaska and Vancouver. We spent fourteen days together as a family seeing everything from icebergs to moose in a park and totem poles. We made memories that will be treasured for all our lifetimes. On that trip, I watched the spark of adventure we were nurturing in our children become a raging flame that will set them on a course for learning and growing their entire lives. This year, we are planning to spend time enjoying our nation’s capital, relaxing on the gulf coast, and sailing the Caribbean seas. Through it all, we know we live in the best of both worlds. We get to have incredible adventures together and we have a wonderful home base with dance classes, rich friendships, and a sense of belonging for our children. We love our life with both roots and wings! 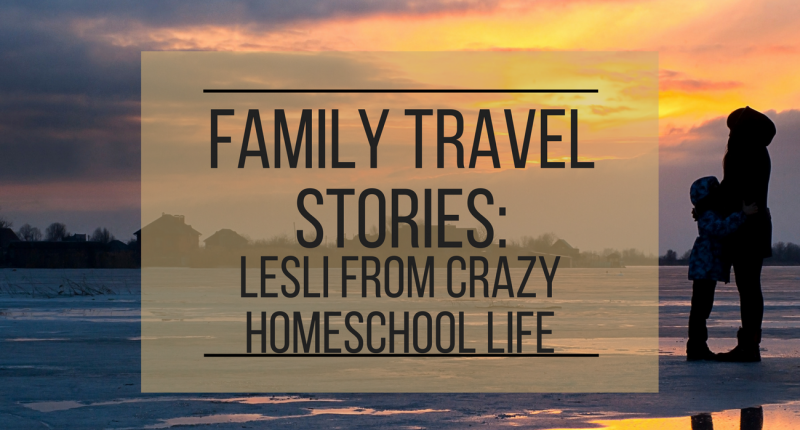 If you’re interested in seeing more from Lesli, head over to This Crazy Homeschool Life. 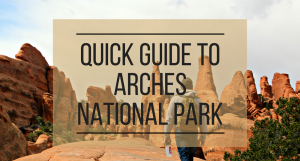 Want to see what other family travelers are doing? 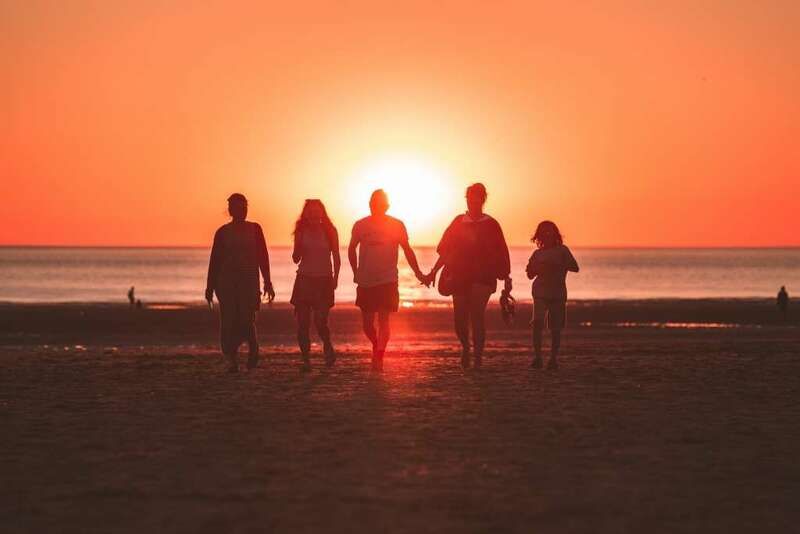 Join our private family travel Facebook group and join in on the conversation.